Sometime ago I strolled through our local Barnes and Noble bookstore. When I paused at the sale section, a bright pink cover caught my eye, and then its title: You Were Always Mom’s Favorite! It now resides on my bookshelf. What an insightful title! How many times had my sister and I bantered with that exact phrase, especially when our mother was present? 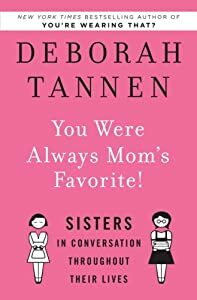 The author, Deborah Tannen, explores one of the most powerful and perplexing relationships: being sisters. When I began this blog, I made a list of potential topics. After reading Tannen’s book, I added Bible sisters. Do you know there are at least five sets of these sibling types, and a couple of maybes? Next week we’ll delve into this fascinating topic. Thanks for stopping by. A journey of discovery is always more enjoyable in the company of friends. Before leaving the topic of hospitality, two more examples come to mind. Both are in the Old Testament and both involve anonymous women—one a widow and one apparently a person of means. Things were not good in the nation of Israel. King Ahab committed a great sin and married Jezebel, the daughter of Ethbaal, king of the Zidonians. She brought with her a pagan religious system complete with 450 prophets of Baal and 400 prophets of Asherah (I Kings 18:19). Her husband allowed the idolatrous system to exist and even thrive. Herbert Lockyer says, “Baal had no more dedicated devotee than Jezebel” (All the Women of the Bible, “Jezebel”). Full of religious enthusiasm she sought to convert all Israel by attempting to exterminate the worship of the true God. “The pagan religion imported by Jezebel horrified devout Israelites, and it also found many new followers….for centuries the Israelites themselves had often given in to the temptation to blend the Lord and local gods into a single cult. Within a few years, many of the people of Israel had embraced paganism” (Great People of the Bible and How They Lived, Reader’s Digest, 1974, page 207). Deliver the message and go! As a result fear and religious turmoil prevailed, and more importantly, God was highly displeased with Israel. As a result He sent his prophet Elijah to deliver a stern message to King Ahab: “As the Lord God of Israel lives, before whom I stand, there shall not be dew nor rain these years, except at my word” (1 Kings 17:1). Anticipating a murderous reaction, the word of the Lord instructed Elijah to flee to the safety of the Kerith Ravine where there was water, and where he would be miraculously fed. Eventually even the brooks and tributaries of the Jordan dried up. The Lord told Elijah to move on to Zarephath, a Zidonian town in the very homeland of his furious adversary, Jezebel. “I have commanded a widow there to provide for you” (verse 9). 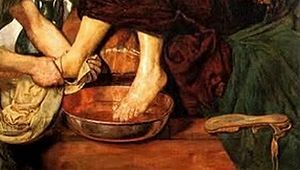 Now picture this non-Israelite widow as the prophet of Israel’s God approached and requested the customary amenities of hospitality: water and bread. Imagine the distress in her voice as she replied, “As surely as the Lord your God lives, I don’t have any bread—only a handful of flour in a jar and a little oil in a jug” (verse 12). These meager amounts represented a last meal as she and her son prepared to finally succumb to starvation. Elijah pledged if she filled his request for precious sustenance, she would never run out of flour or oil as long as the drought lasted. What a test of faith! She took him at his word, prepared him some food, and lived to experience the miraculous “hospitality” of God, just as He had promised. What a different set of circumstances for Elisha to encounter. Here we have a prominent woman in the community voluntarily extending hospitality to him as a holy man of God. 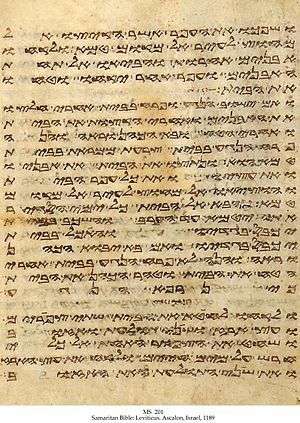 The Expositor’s Bible Commentary mentions that this woman was well-to-do, literally in the Hebrew, “a great woman.” (See 2 Kings 4, Note 8.) The Note continues, “Being a pious woman, her concern for the prophet was purely spontaneous and bears the impress of a genuinely godly sense of hospitality.” Her home became a frequent way station for Elisha as he traveled the countryside. It’s interesting to consider the actions and reactions of these two women. Both extended hospitality. However one did so by request and the other voluntarily out of her plenty. One complied with certain misgivings, thinking she was sure to hasten impending starvation; and the other acted out of an innate sense of respect and altruism, having no threats of looming consequences. Both enjoyed the Lord’s graciousness. The widow and her son avoided death by starvation. But later her son became ill and died; the distraught mother came to Elijah asking why? Elijah turned to God in passionate prayer, and her son’s life was mercifully restored. The prominent woman had at least one ongoing sorrow: She was childless. As a result of her generous ministering to Elijah’s needs, God miraculously granted her a son. Like the widow, her son, too, got sick and died. Elisha followed Elijah’s example, placing his petitions for mercy before the Lord. God heard, and the woman’s son enjoyed life once more. It is my hope that these series of posts will add a new dimension to Bible reading by alerting readers to the many subtle threads of hospitality woven throughout the fabric of its pages. We have only touched the surface. Who is this David? Who is this son of Jesse? Many servants are breaking away from their masters these days. Why should I take my bread and water, and the meat I have slaughtered for my shearers, and give it to the men coming from who knows where? With an insulting dismissal, Nabal confirmed he was a foolish, shortsighted and contemptible man. In a time when hospitable treatment of others was a duty, and those in need of food and shelter had a right to request it, Nabal flouted the courtesies expected of a rich man. “It was believed to be a sacred duty to receive, feed, lodge and protect any traveler who might stop at one’s door” (Unger’s Bible Dictionary, “Hospitality”). Hospitality is rooted in scripture: The stranger who dwells among you shall be to you as one born among you, and you shall love him as yourself; for you were strangers in the land of Egypt: I am the LORD your God (Lev.19:34). In the time of Nabal “any lack of civility or kindness to a guest meets severe reprobation” (Hastings Dictionary of the Bible, “Hospitality”). This proved true for Nabal because his selfishness ended in death. Were it not for the bravery of his wife Abigail, Nabal would have died by the sword rather than from heart failure. Nabal was a rich man. He had three thousand sheep, a thousand goats and many servants. David and his men resided in the wilderness where Nabal pastured his sheep. Without taking anything for themselves, they protected Nabal’s sheep and herdsmen. At the festive time of sheep shearing, David expected some hospitable acknowledgment of their efforts. As strangers who aided Nabal’s business, David requested a donation of food for himself and his men. 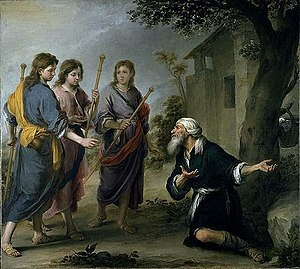 David’s appeal was “the epitome of courtesy” (Expositor’s Bible Commentary, p. 755), asking only for what Nabal might spare (I Samuel 25:8). Nabal had plenty to spare–cash from selling wool and provisions for the shearing festivities. 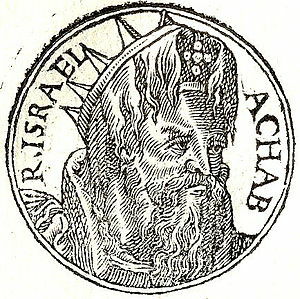 And Nabal knew David, at least by reputation. His shepherds commended David’s men. These men were very good to us. They did not mistreat us, and the whole time we were out in the fields near them nothing was missing. Night and day they were a wall around us all the time we were herding our sheep ear them (I Samuel 25:15-16). Stung by Nabal’s arrogance, David prepared to avenge himself. 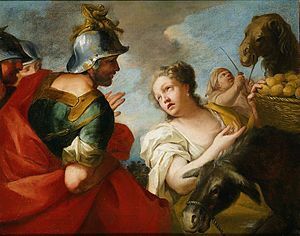 Having been informed of her husband’s rash behavior, Abigail acted without hesitation and averted David’s anger. At the time, did she understand the power of hospitality to change someone’s perspective? Was she a practiced giver-of-hospitality? Did she know by nature the essentials necessary to turn David from revenge? Abigail’s actions still resonate today as examples of courage, wisdom, and artful hospitality. While many of the threads of New Testament hospitality are rather inconspicuously woven into the fabric of larger accounts like Luke 10:25-37, the Old Testament gives several examples where hospitality comes off in a bold pattern. One of these is found in Genesis 18:1-16. It is the account of Abraham and his three special guests. He greets them and invites them to stay. He offers them water so they can wash their feet. Once they accept, Abraham enlists Sarah to make cakes out of “fine meal,” arranges to have a “tender and good” calf killed and cooked, and then, as a gracious host, serves his guests under the welcoming shade of the terebinth trees. Once their repast is finished, Abraham fulfills his final duty by seeing these strangers on their way. The International Standard Bible Encyclopedia describes this vignette as “an exquisite example of the etiquette of hospitality” (article, “Hospitality”). He sees them and bows before them. He issues an invitation to put them up for the night. He offers them water to wash their feet. He makes them a feast. He acts as their protector (although in a way I find hard to comprehend). Genesis 26:28-30 Isaac provides food and lodging. Genesis 29:13 Laban welcomes Jacob. Exodus 2:18-20 Jethro scolds his daughters for lack of hospitality. Job 31:32 Job says he opened his door to the traveler. While the principals in the above accounts are men, there are several examples of hospitable women in the Old Testament. Mary Hendren will be introducing us to one of them in our next post. Her name is Abigail. God Himself loves the stranger and keeps him under His special protection. By His actions He models the scope, depth, and meaning of true hospitality. My ninety-two-year-old mother is my living example of hospitality. She lives in a condo and manages to connect with all of her neighbors. A common query when we drop her off after an excursion of some kind is, “Won’t you come in?” If we take her up on the invitation, she typically offers us a beverage of some kind, or possibly a meal. Mom is also very aware of others’ needs and tries to address them in her endearing graceful way, which ranges from sharing coupons, to placing daily newspapers outside her neighbor’s door, to making phone calls, to taking snacks to church. She is, plain and simply, a people person. Over the years I have met others, some of my mother’s generation but not all, who share stories of feeding the less fortunate who come to their doors—as they did especially during the depression years—and on some occasions letting strangers who have no place to go spend the night in their homes or on their property. Today demonstrations or even requirements of being hospitable vary throughout the nations of the world. However, our topics for the next posts will concentrate on the common threads of hospitality woven throughout the Old and New Testaments. The other New Testament references to being hospitable are: Romans 12:13; 1 Timothy 3:2; Titus 1:8; and 1 Peter 4:9. What was the cultural backdrop to these comments? How did New Testament Christians understand Paul’s words? Following are some interesting tidbits I uncovered in my research. You’re staying for how long? Joseph Gift, in his Life and Customs in Jesus’ Time offers an interesting perspective. He says that three days were considered the normal extent to which one could presume on the hospitality of others. He goes on the cite H. Clay Turnbull: “In case a guest seems disposed to prolong his stay beyond the ‘three days of grace,’ his host will suggest to him, on the morning of the fourth day, that as he is now one of the family, there is such and such household work to be done, in which he can bear his part; and so he is set at work for his living” (pages 61-62). The Lion Encyclopedia of the Bible agrees: “Among the nomadic, tent-dwelling people, a traveler was always welcome to stay—for three days and four hours!—the length of time the hosts believed their food sustained their guest. Flat loaves of bread and milk were basic to the menu. For the time of his stay the traveler became one of the clan” (“Meals,” page 187). Gift continues that simple hospitality meant the host should provide rest and food for a guest. As meals were often taken in the open, “strangers could come and go during the progress of a meal” (page 62). Offering a stranger a cup of water (or requesting a cup of water) was a gesture of peace, trust and good will. Women customarily served meals to the guests, and according to at least one source ate elsewhere. Guests would either kneel on cushions or mats around a low table (possibly a meal tub turned upside down), or, if in a wealthier home, recline on couches (which may be alluded to in John 13:23-25). I found an entry in the International Standard Bible Encyclopedia filled in some blanks. 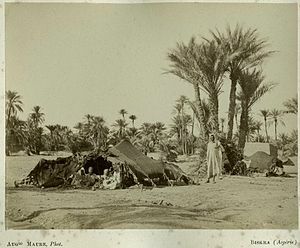 People were not always housed in private homes as is explained by the following: “…in New Testament times, if not earlier, and even at present, a room was set apart in each village for the use of strangers, whose expenses were borne by the entire community.” It mentions some feel the manger where Jesus was born (Luke 2:7) could fall into that category. Though mine has been a very brief exploration of New Testament hospitality, I find I read the following scriptures with a new understanding of the subtleties they contain: Mark 6:8-10; Mark 9:41; Matthew 10:11, 41, 42; Matthew 25:43; Matthew 25:35; and Luke 10:7. The next post or two will explore hospitality in the Old Testament. Posted in Beginning of the church, Hospitality. Bookmark the permalink. Illustrated Manners and Customs of the Bible says, “Hospitality, kindness to strangers, and ‘especially unto them who are of the household of faith’ (Gal. 6:10), had roots in the Old Testament and became an integral part of the teachings of the New Testament” (page 467). The next several posts explore hospitality—how it’s defined in Bible times, demonstrations and expectations of the day. This promises to be a fascinating study, and we hope you’ll join us as we delve into the art and requirements of being hospitable. 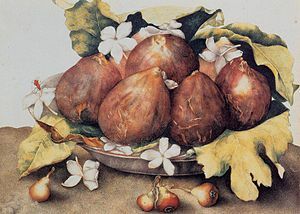 Posted in food, Fruit, Hospitality, Resources. Bookmark the permalink.